We received some great entries for the Launch Event Mini Competition, which we all enjoyed reading! We were impressed with some of the things you told us, so we decided to share some of them with the School Enterprise Challenge Community! 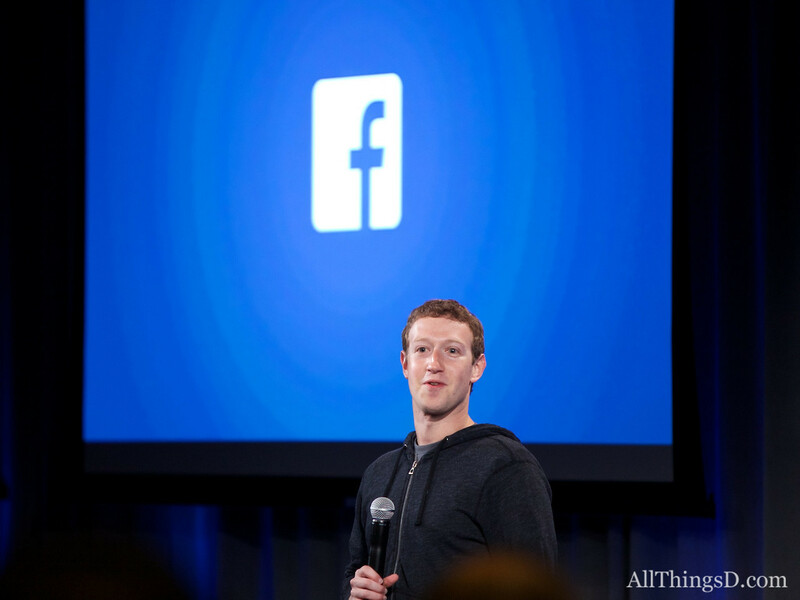 Even Facebook holds launching events to tell the world about their latest updates! A launch event is a an ideal opportunity to promote your school business to all your classmates, friends and family. It creates excitement, support and interest around your business and helps to ensure that it is as successful and profitable as possible. By promoting your business to your local community, you are reaching out to potential customers who are most likely to be buying your product or using your service. It is also an ideal space to explain, promote and get feedback on your future business plans! Top Tips for the launching of your business! Make sure everyone involved understands the product and can communicate the unique selling point of your business! Offer a small sample of your product at the launch event to get feedback or to entice customers to buy it! 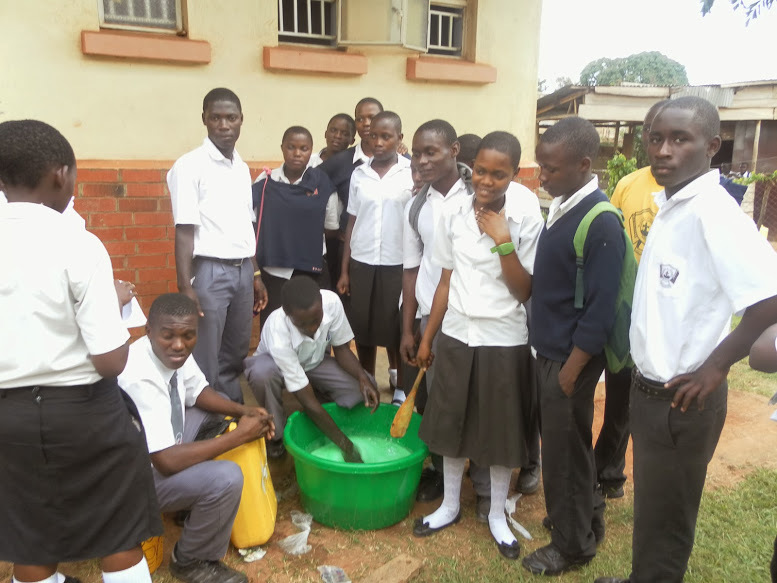 Pupils at Mackay Memorial College, Uganda invited the local media to their event. Get in touch with local media- TV, newspaper, and radio to ask if they could publicise your launch event. Launch your business on a significant day– a national holiday/school event. This will ensure lots of exposure and interest in your business. Take lots of photos and videos that you could add to your Faceboook, Twitter or Blog. Inform your followers about what you are doing! Have fun! Remember that this is meant to be an enjoyable experience. Students at BGS launching their business. 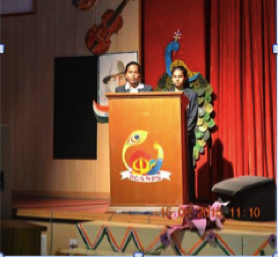 Congratulations to BGS National Public School in India for winning the launching event mini competition! Well done! The ‘Money for Mankind’ team showed lots of energy, passion and commitment launching their product and food fair to a crowd of more than 5,000 friends, family and local community! They also have blogged extensively and have a fantastic Facebook page for their business!. We would also like to congratulate the runner-ups of this competition: Mackay Memorial College, Uganda and KIIT World School, India for their amazing launching events! Mackay Memorial College received coverage from Uganda’s National Television station for the launch of their poultry business. Great idea! Students at KIIT launched a new development of their existing business. 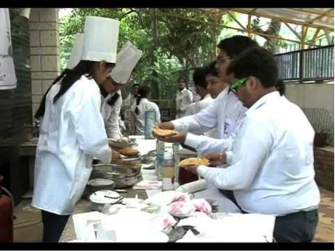 With an already established business, Nutri-Cafe, students at KIIT World School, used their launch event to promote a new focus of ‘Health Zone’ of their successful health cafes. For more information about launching an event, please visit our website and download Guide 12: ‘Launching your Business’. If you haven’t held a launch event yet, use our tips and hold one now! Don’t forget to tell us how you did it by emailing us or sharing it on our Facebook Page! This entry was posted in Uncategorized on October 26, 2015 by School Enterprise Challenge. Celebrating School Businesses in South Africa! 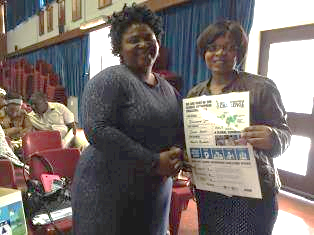 This year, 260 rural schools in South Africa are participating in the School Enterprise Challenge! Thanks to the funding and support from The Saville Foundation and Ithala Development Corporation, and our partnership with the Department of Education, schools in the Kwa-Zulu Natal Province have been able to plan and implement school businesses! It has been an exciting journey for these schools who are working hard to set up their businesses! We feel very inspired by their achievements and want to share them with all of you! Inkumane Secondary School set up an organic farm and raised their start up capital through a tuck shop! In August, 130 teachers got together for a ‘Show and Tell’ event in which five successful schools presented their innovative business plans. This served to inspire and motivate many teachers, and showed that even with limited resources, anyone can set up a school business! The teachers listened to other teachers sharing their experiences setting up an organic farm, two tuck shops, a nail & braiding service and a beading business! They all faced initial challenges like lack of start-up capital, but by working hard and being creative, the teams were able to implement their businesses despite their difficulties. Meet some of the schools! 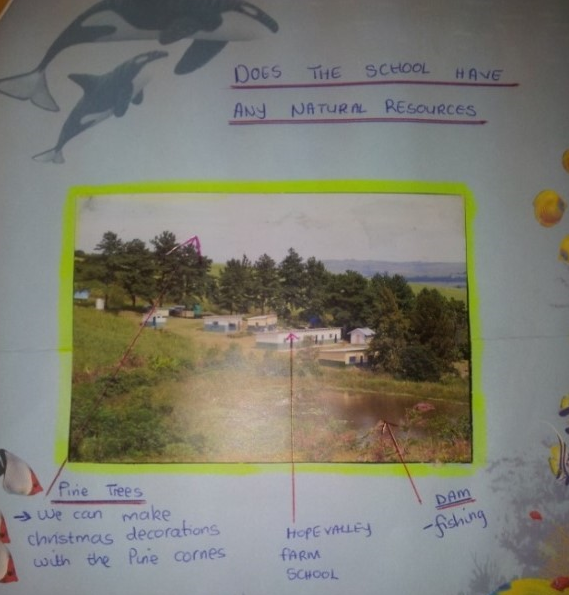 South African schools have come up with a wide range of business ideas, from vegetable gardens to beading and hot dogs! Have a look at these two examples of what they are doing. Enthusiastic learners at Hope Valley School have taken the initiative to make bracelets for tourists visiting the area. After designing a beautifully illustrated business idea and a very detailed five years business plan containing sample bracelets, the students raised the start-up capital they needed by selling mealies that were grown near the school. Their long term ambition is to set up an African cultural shop in the local town, to increase their profits and involve the wider community so even more people can benefit from their business! Learners at Dulati School performing at a cultural event to raise start-up capital. They show how much fun learning through a business can be! After conducting market research and getting a positive response, the students at Dulati Combined School began to fundraise for their school tuck shop. They have held some innovative fundraising events like hairdressing, cultural performances and a ‘school funny day’! They plan to employ local people to help them run the business, creating jobs and helping to reduce poverty in their community. The menu is quite extensive and if the food tastes as good as it sounds ‘Dulati Snack Kingdom’ is sure to be a success! We wish everyone the best in the third stage of the competition! Remember to complete your Final Reports by November 13th 2015. We can’t wait to read them! This entry was posted in Uncategorized on October 8, 2015 by School Enterprise Challenge.